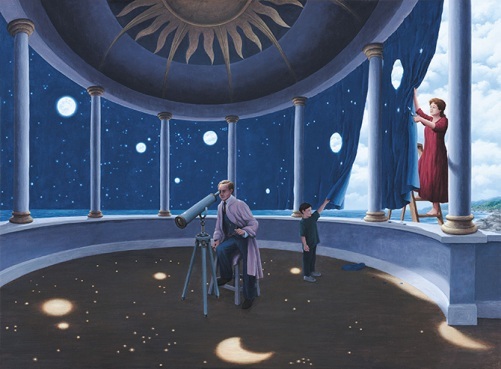 Canadian painter of magic realism Rob Gonsalves was born in Toronto in 1959. 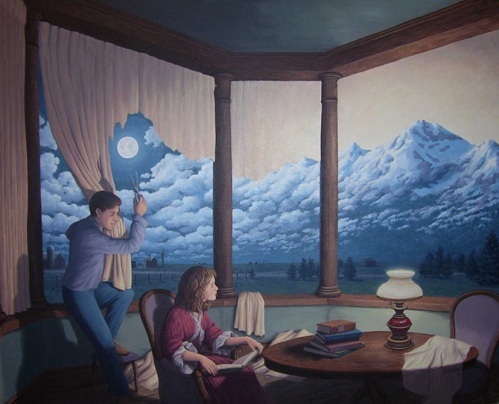 He produces original works, limited edition prints and illustrations for his own books. 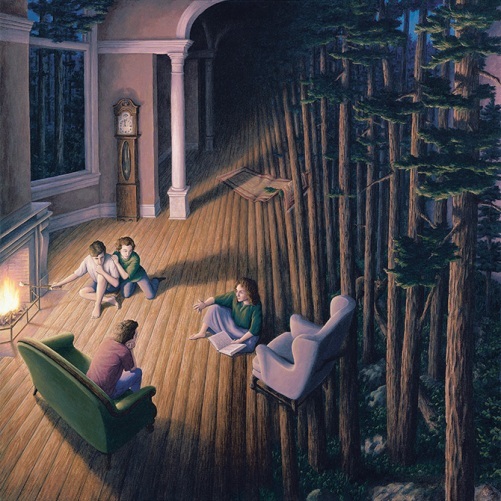 Style in which world-renowned artist Rob Gonsalves draws, some call surrealism. 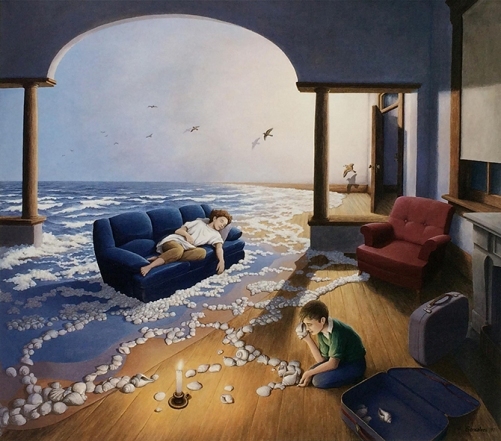 His painting is always a magical union of invisible metamorphosis flow of objects from one incarnation to another, ad if the artist suggests to us – everyone in the world is interconnected. 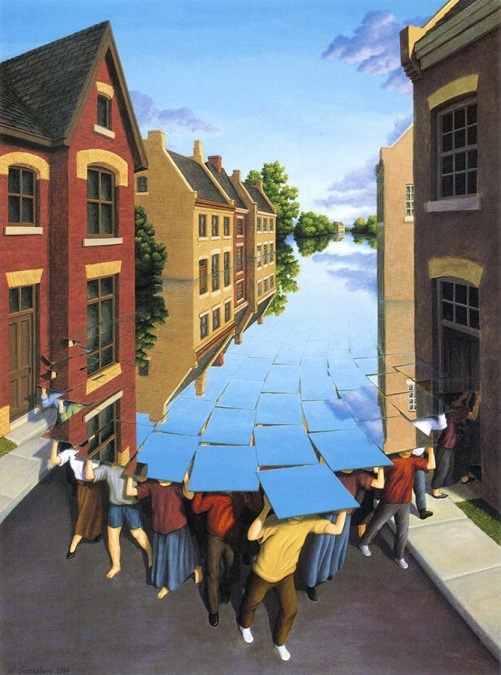 Rob began painting at an early age, since 12 he was interested in architecture, perspective, various designs. 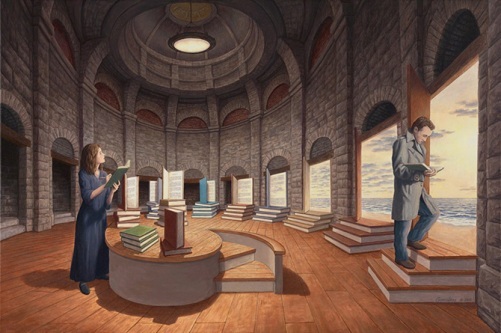 A central place in his paintings takes creative architecture, only now he builds illusions. 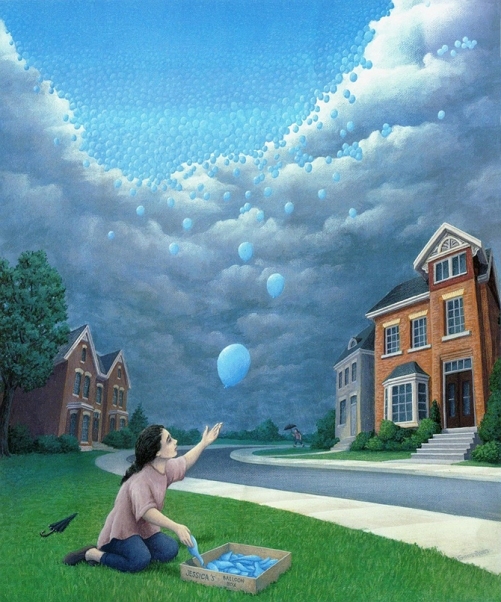 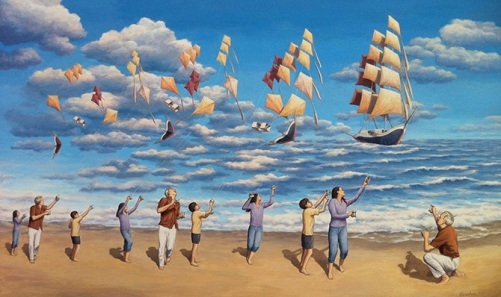 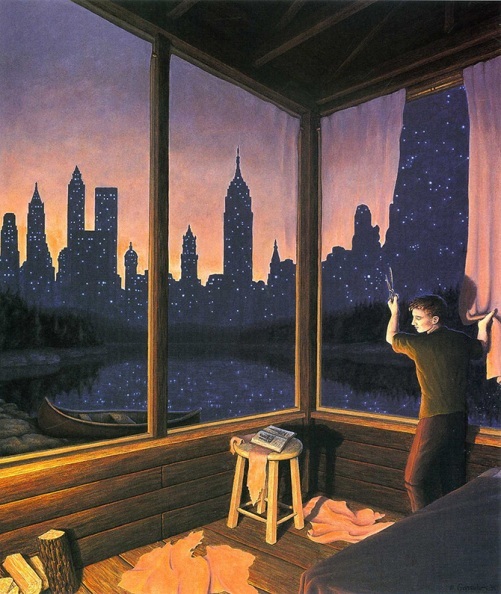 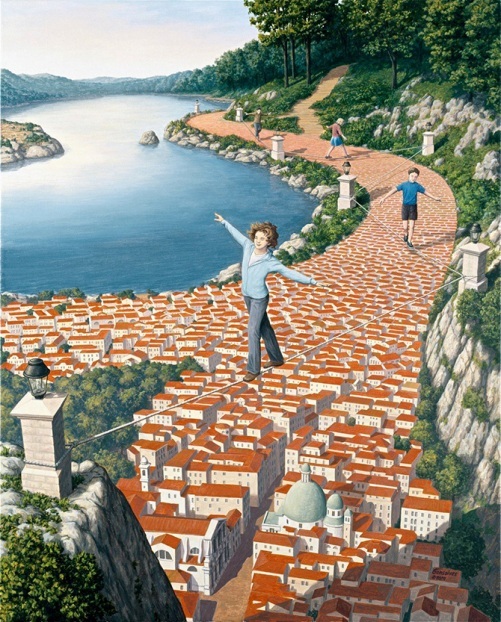 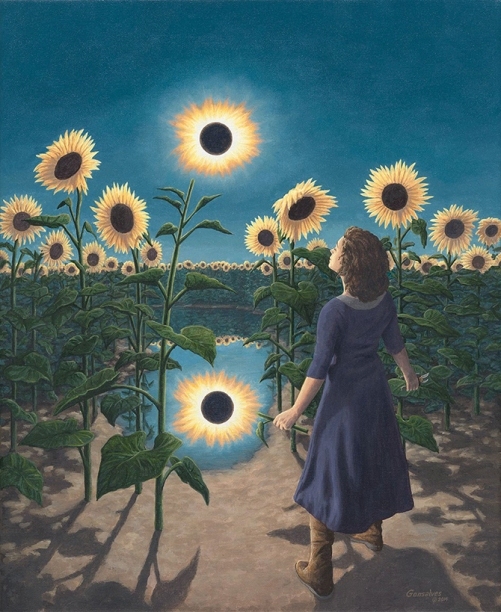 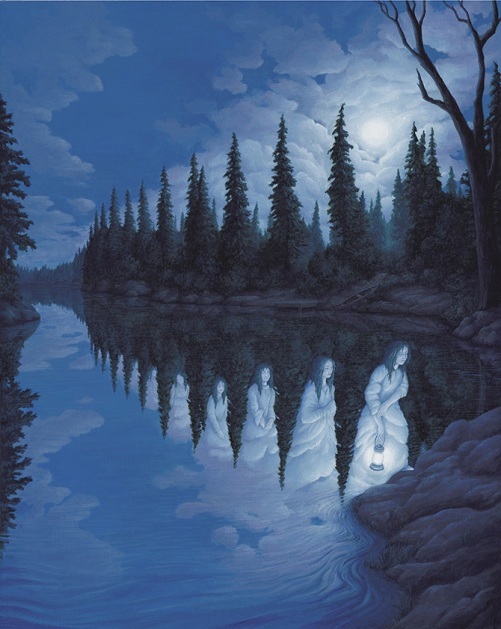 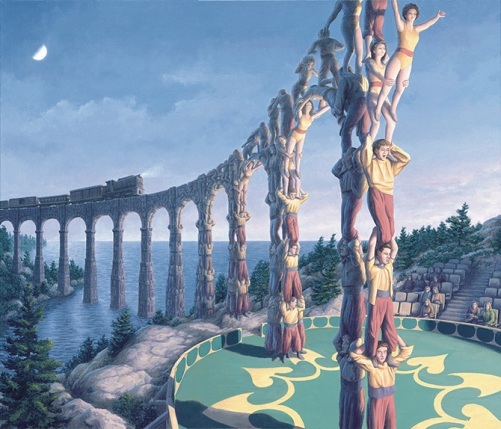 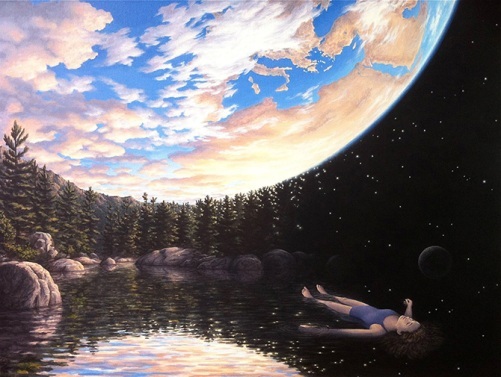 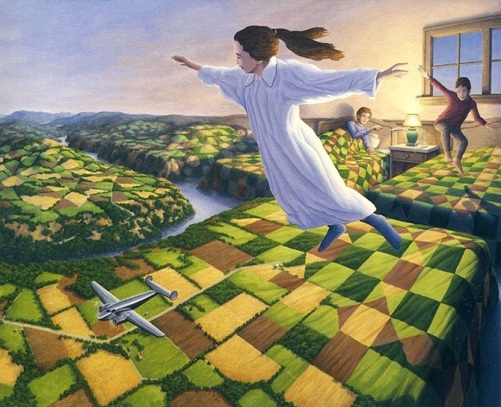 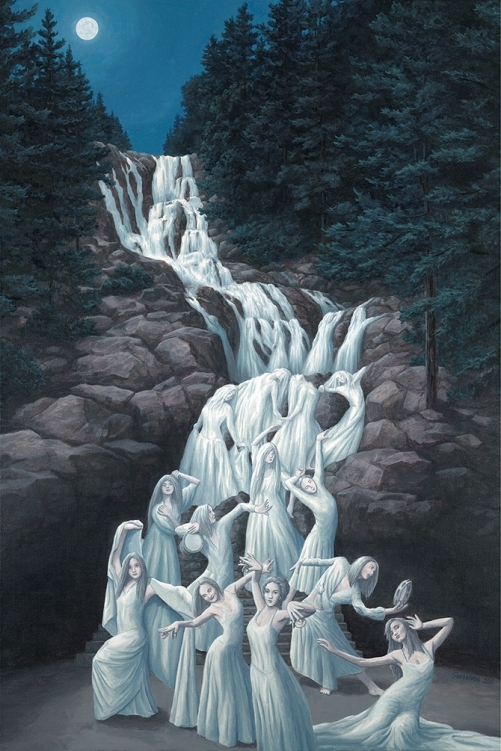 A mixture of Dali, Magritte and Escher – thus can be described the painting of Rob Gonsalves. Paintings by Canadian painter of magic realism Rob Gonsalves have been exhibited at Art Expo New York, Los Angeles, Atlanta and Las Vegas, and other states of the USA. 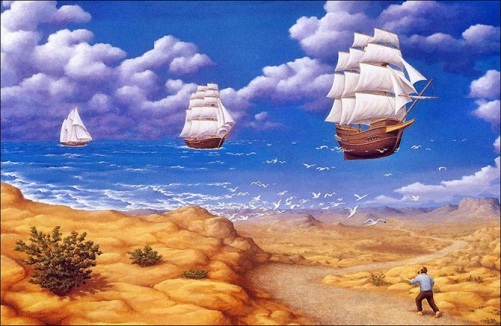 In June 2003, was released Gonsalves’ first hardcover book featuring sixteen paintings. 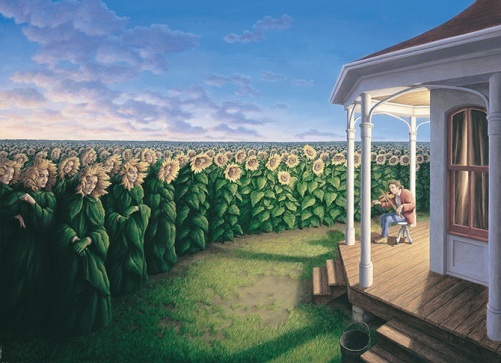 Due to the success of “Imagine a Night”, Simon & Schuster released a second book, Imagine A Day, in 2004 for which he won the 2005 Governor General’s Award. 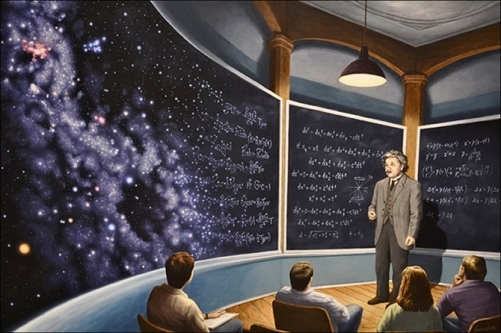 His book “Imagine a Place” was released in 2008. 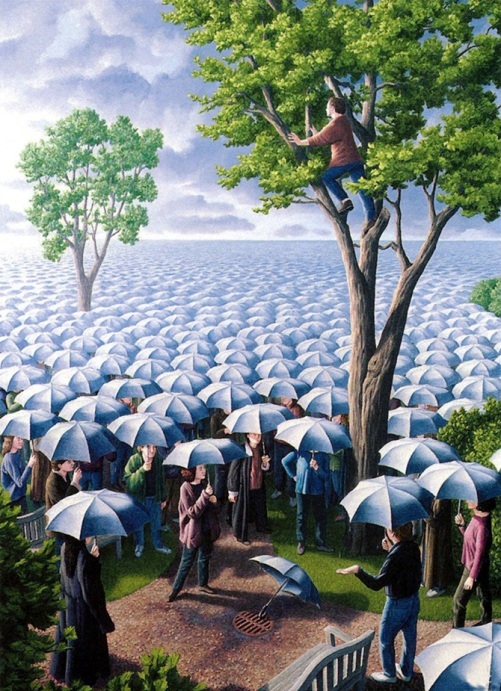 Gonsalves is a founder and member in good standing of the Fellowship of the Gourd and the Arrow. 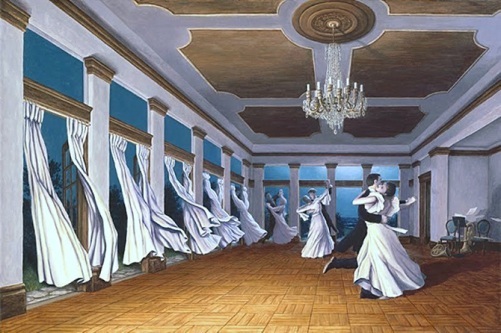 Gonsalves now has more than 70 paintings, he usually finishes about four paintings each year.